« K’NEX Sesame Street Neighborhood Collection ~ Toys Your Toddlers Will LOVE! Looking for Some Cool Groomsmen Gifts for a Summer Wedding? I’ve Got Plenty of Ideas for You! A wedding may be pretty when held during the summer. 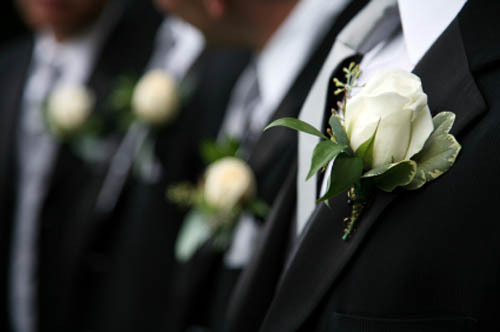 Your groomsmen may be very busy attending to your guests and ushering them to their tables. But you also need to anticipate that your guests and even your groomsmen may need some refreshments to quench their thirst from the summer heat. That’s why giving beer baskets for your groomsmen would be a great idea. They are thirst quenchers and also a reminder that it’s a great day to celebrate. Give your groomsmen personalized t-shirts as a gift. You may put his initials on the shirt or a big ‘groomsman’ title on it. It is something useful and very comfortable to wear. You can also give him a t-shirt of his favorite sports team. He’ll surely use it when he’s out watching some games. It’s a great way to support his favorite team, and at the same time, remind him of you and your partner. The heat can be blazing during your wedding in the summertime. Thus, a personalized cap is also a nice idea. They can use it even after the wedding when they are out camping or on their summer breaks or vacations. Sunglasses would be a classy groomsmen gift for your summer wedding. They can use it for so many summers to come or really any time of the year. Give your groomsmen some slippers or sandals especially when your wedding is held on the beach. You don’t want your groomsmen to wear their shiny leather shoes on the sand. With a pair of footwear, they can be very comfortable during your big day. You must have known that summer is the time when most of your buddies plan to go to the beach to have fun. But having your wedding day during the summertime may also have caused changes to their plans. So give them board shorts as groomsmen gifts. This will be a reminder that you are grateful for their presence and so that they can be ready to go to the beach after the celebration. Boys love surfing. Since your wedding is held on summer, surfboards are great ideas to give to them too. These will give them the chance to enjoy the sand and water after a day of being prim and proper. Hopefully, you can find some great gift ideas here and show your groomsmen the appreciation they deserve for being part of your life and your special day! One Response to Looking for Some Cool Groomsmen Gifts for a Summer Wedding? I’ve Got Plenty of Ideas for You! I didn’t assume you had to provide groomsmen gifts to :S. I thought they were included in the guests. My friend’s wedding is in 6 months, and I am helping her out to gather all the important things she needs to consider. Thank you for sharing this information, I’ll get to inform her that she needs to arrange groomsmen gifts. My favorite from the list is beer baskets. I think a small basket of various kinds of alcohol will set them off happy. HUGE FAVOR? Please VOTE for Riley! You can even get extra contest entries!